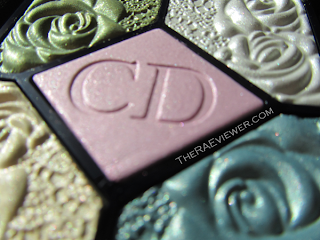 Dior released two limited edition Garden Edition palettes this Spring but the purple themed palette had too much pink for my taste so I scooped up Garden Pastels, a vision of green. I ordered mine sight unseen from Nordstrom.com and I will start by admitting I was a bit disappointed when I opened the package. 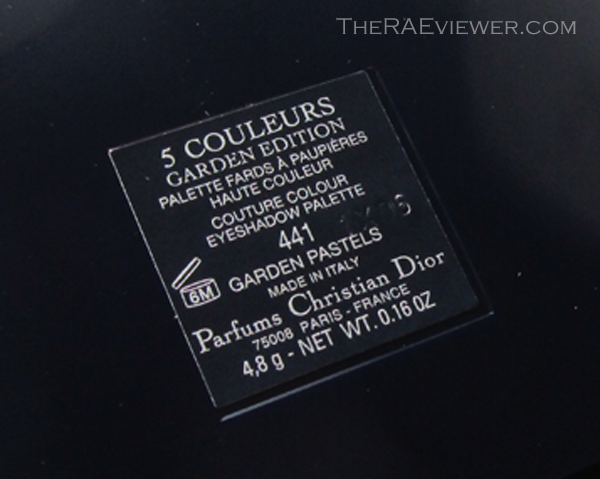 The promotional picture above made the palette appear less pastel and just a touch smoky, when in fact, Garden Pastels is absolutely not that. The center shade isn't a matte lavender at all but instead, a glittery pink! 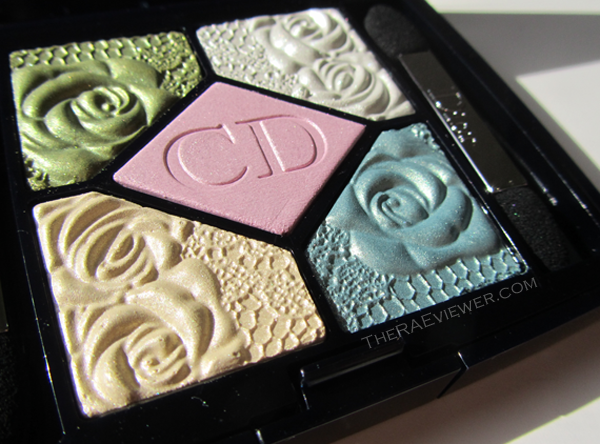 Nonetheless, it is a beauty of a palette and I am glad to review for you. The embossment is slightly reminiscent of the lace from Dior's last Spring collection but instead of a full lace pattern, we get rose embossments. Lovely, isn't it? 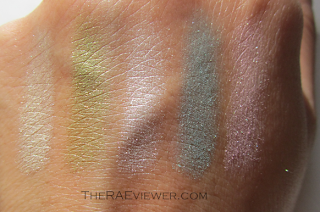 The only other brand to release a green themed palette this Spring was Lancome, and I reviewed the palette here yesterday. 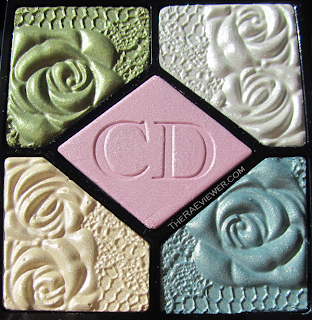 I thought this Garden Pastels palette would end up as my top eyeshadow pick for the season but Lancome's Vert Tendresse really swept me off my feet. As much as I love Dior's pastel theme, it does not translate as well on the eyes because the palette does not provide an "anchor" color. 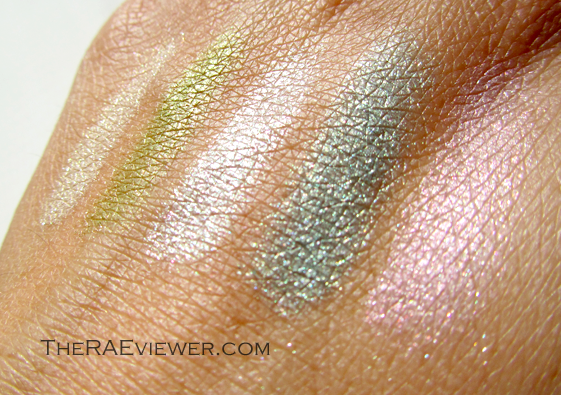 All the colors are high-shine metallics. Now, there is nothing wrong with a entirely shimmery eye but I find this palette looks overwhelmingly bright when worn without a matte brown or navy to balance out the pastel theme. The shades in Garden Pastels have nearly frosty finishes with decent pigmentation, standard Dior fare. The pale pink, dramatic silver, buttercup yellow, luminous lime, and warm turquoise are a lot of fun to look at and to play with. 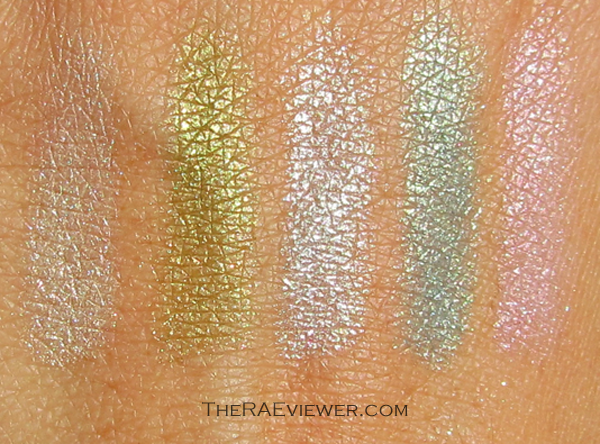 The yellow and lime have the smoothest textures, while the silver is the most pigmented. The pink and turquoise boast high concentrations of glitter. I do not believe I would reach for this palette often but I have been toying with it recently to figure out which look I'll demonstrate in the tutorial, which I should have posted by next Sunday. 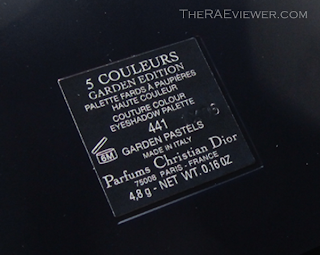 Also, I will review my favorite piece from Dior's Spring 2012 collection this week. Edit: view the palette in action HERE! Directly in front of a window, rather harsh lighting..
Out in the sunlight, where the metallic finish shines! 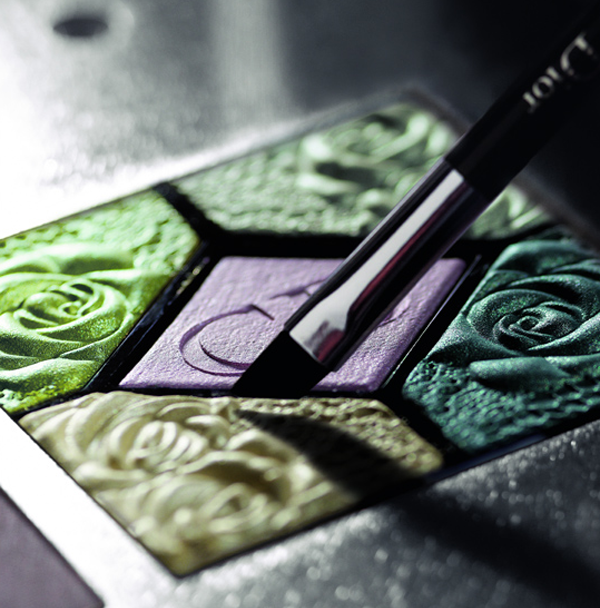 Bottom Line: If you enjoy slightly sheer but buildable metallic finishes, this eyeshadow palette may tickle your fancy. 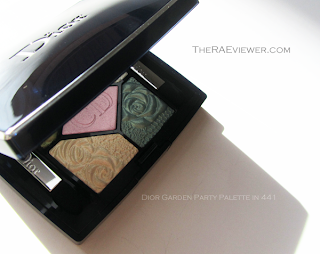 Even though it is very true to the garden party theme, it's only a "nice to have" product [in my opinion]. 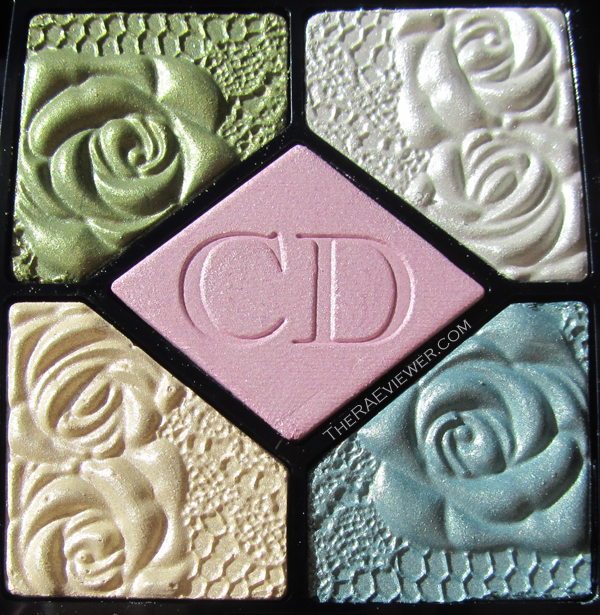 Garden Pastels has more pizzaz at first glance but I prefer the balance and versatility of Lancome's Vert Tendressese palette. 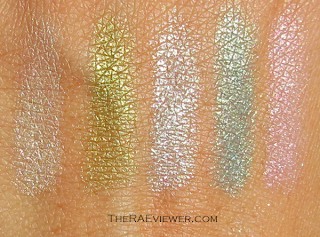 from the swathces I prefer this than the Lancome...the Lancome one seems very chalky always from the swatches! Thanks for the review I won't buying after reading it! This palette to me is a little disappointing, the lime green is very unappealing. I agree that it needs a brown/black matte color to really anchor it down. 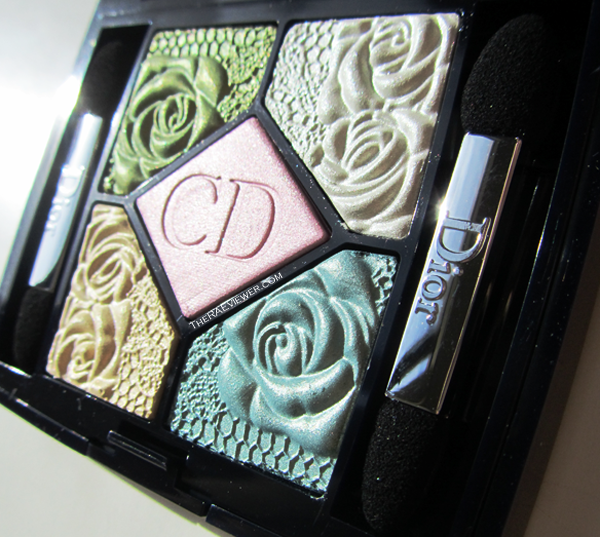 absolutely gorgeous shades loves the dior eyeshadows! The first pic is amazing, in the palette the pattern and colors are so pretty but I'm not feeling the finish of the shadows. I swatched this palette in person and absolutely love it. I wish I hadn't since I just can't afford it right now. I'm hoping someone will buy it and hate it so I can swap for it on MUA! Maybe because I have brown skin it not having an anchor color isn't as big of a deal? The SA used it on me and it looked really nice, even without primer and just thrown on.